Ever heard of cars that talk? Well now you have - hop on and drive these electric powered cars around the Three Cities - Birgu (Vittoriosa), Isla (Senglea), Bormla (Cospicua), and the car will tell you about them using a pre-programmed GPS which will also show you where to go and what to look for when you're there. 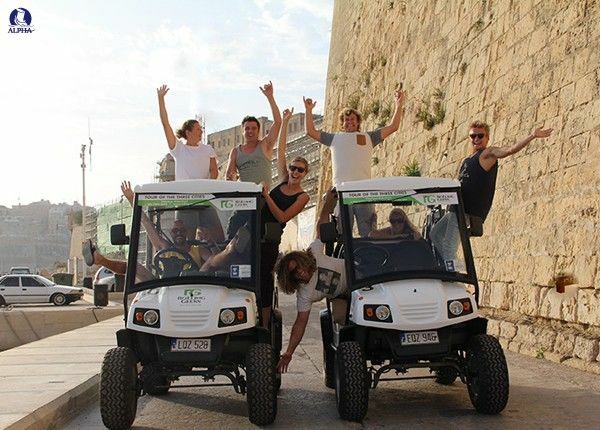 The cars are incredibly fun and easy to drive, and environmentally friendly too, allowing you to encounter some wonderful views of Malta and the Maltese culture and climate at first hand. If you're feeling like you need to cool off by the beach, or stop by a restaurant that caught your eye on a drive through the countryside, then worry no more. Use your tour as you wish! You will come across the exquisite, natural Birgu Harbour where you can take a look at all the docked yachts. Then make your way to the stylish waterfront that brings about plenty of history which is now used for a series of cafés and restaurants. In two and a half hours, the tour comprises famous film studios, the secluded sandy beach of Rinella Bay which was also close to an amenity for famous movies such as "Troy" and "Gladiator", imposing fort & small enchanting streets that characterise this area. You will also experience the cultural side of Malta, with some incredible views from Gardjola Cardens in Malta's popular Three Cities, churches, tradional piazzas, and architectural riches such as Fort Rinella and Fort Ricasoli in Kalkara. If history is what interests you, then you will not be disappointed. Your 'robot' car will drive you past the Maritime Museum, the Inquisitor's Palace - National Museum of Ethnography and Malta at War Museum where you can just step out out of your car and go back in time in any of these museums which are all located in Birgu. In case of damages and/or loss to/of the car and equipment an excess fee of €180 applies. You must be in possession of a valid credit card, in case of damages and/or loss to/of the car and equipment an excess fee of €150 applies. €30 will also be blocked on your card in the event of any fines. This will be released within 10 working days. Fully comprehensive insurance is included in the price. Driver's age must be 21 years old or over. A valid driver's license must be presented at time of pick-up.